This was actually really easy. I thought 200 was a huge number and I would struggle to reach this. Not the case at all. I was beat this goal in April. I’m currently a little under 700 miles for the year and that’s without adding up exercises such as basketball games, pick up games etc etc. 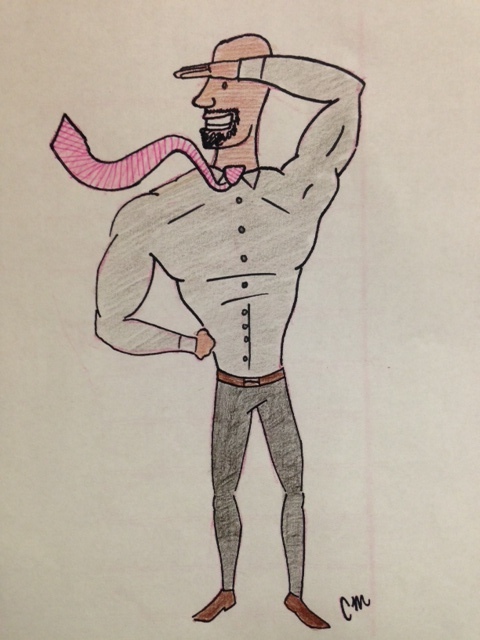 Maybe one day I’ll look like this picture my student drew for me…..with bigger legs of course! This goal has been crushed!